Eibar scored in last 3 away games in La Liga. Eibar scored in last 6 games in La Liga. Leganes scored in last 4 home games in La Liga. Leganes allowed opponents to score over 1.5 goals in last 4 home games in La Liga. Bayern Munich won their last 6 games in Bundesliga. Hoffenheim scored in last 5 games in Bundesliga. Bayern Munich scored in last 7 games in Bundesliga. Bayern Munich scored in last 5 home games in Bundesliga. Hoffenheim allowed opponents to score over 1.5 goals in last 3 games in Bundesliga. Lyon has under 2.5 goals in their last 3 games in Ligue 1. Racing Strasbourg has under 2.5 goals in their last 3 games in Ligue 1. Lyon won their last 4 home games in Ligue 1. Lyon scored in last 8 home games in Ligue 1. Flamengo has under 2.5 goals in their last 4 home games in Serie A (Brazil). Atletico Mineiro allowed opponents to score over 1.5 goals in last 4 games in Serie A (Brazil). Flamengo won their last 3 home games in Serie A (Brazil). Flamengo scored in last 3 home games in Serie A (Brazil). Vasco da Gama lost their last 4 away games in Serie A (Brazil). Atletico Mineiro allowed opponents to score over 1.5 goals in last 3 home games in Serie A (Brazil). AGF Aarhus has under 2.5 goals in their last 5 games in Superligaen. Hobro has over 2.5 goals in their last 6 games in Superligaen. Hobro has over 2.5 goals in their last 4 home games in Superligaen. AGF Aarhus has under 2.5 goals in their last 3 away games in Superligaen. AGF Aarhus ended draw their last 4 away games in Superligaen. Middlesbrough scored in last 6 games in Championship. Middlesbrough scored in last 4 home games in Championship. Mariehamn has under 2.5 goals in their last 3 away games in Veikkausliiga. Mariehamn has under 2.5 goals in their last 4 games in Veikkausliiga. Mariehamn lost their last 7 away games in Veikkausliiga. Mariehamn didn’t score in last 3 away games in Veikkausliiga. Mariehamn allowed opponents to score over 1.5 goals in last 3 games in Veikkausliiga. Paris FC has under 2.5 goals in their last 5 games in Ligue 2. Le Havre has under 2.5 goals in their last 6 games in Ligue 2. Brest has under 2.5 goals in their last 3 games in Ligue 2. Paris FC scored in last 12 away games in Ligue 2. Sochaux scored in last 3 games in Ligue 2. 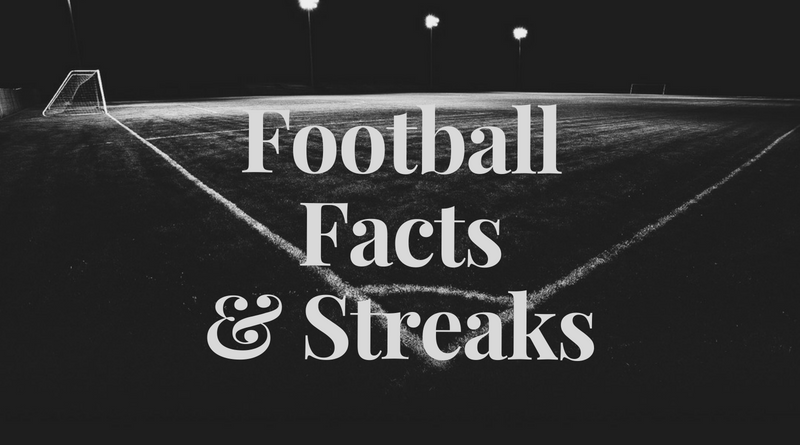 Paris FC allowed opponents to score over 1.5 goals in last 4 away games in Ligue 2. Le Havre has under 2.5 goals in their last 3 away games in Ligue 2. Le Havre allowed opponents to score over 0.5 goals in last 4 away games in Ligue 2. Paris FC allowed opponents to score over 1.5 goals in last 8 games in Ligue 2. Le Havre allowed opponents to score over 1.5 goals in last 8 games in Ligue 2. Sandhausen scored in last 6 away games in II Bundesliga. Perugia has under 2.5 goals in their last 3 away games in Serie B. ADO Den Haag lost their last 3 games in Eredivisie. Chicago Fire lost their last 5 games in MLS. Columbus Crew scored in last 4 games in MLS. Houston Dynamo has over 2.5 goals in their last 3 home games in MLS. Dallas scored in last 3 away games in MLS. Dallas scored in last 7 games in MLS. Houston Dynamo scored in last 11 home games in MLS.